“The name of this business says it all: Best for Less! Last week while on the notorious Freeway 99, a rock flung up from a tractor tractor and cracked my windshield. I called around town for prices on a replacement and man let me tell you, it ranged all the way up to $560 dollars. This morning (6/22) I had an appointment with an independent company to out and replace my windshield between the hour of 9-10. However they contacted me at 11am stating he could be there by 12? Really? Bummed out about not getting window fixed and late to work, I looked on Yelp for Windshield replacement establishment on the side of town I was working in. I came across, "Best for Less." Ramon answered the phone and gave me a price quote. Wasn't too thrilled about the price and told him that I consider it since I was only 7 minutes away from his business. 9 minutes later Ramon called me back and asked if I had gotten any other quotes cheaper than his. I told him "yes" and that I had made an appointment for Saturday morning. Ramon informed me that he could beat that price and have it done today. I let him know I would be there by 12pm. The location isn't the pretties, nothing fancy, and small. However the experience was stunning. When I pulled up I was immediately greeted. I told the worker I was looking for Ramon. The worker informed me he was waiting for me and that the car would be done within 45 minutes to an hour. The lobby is kinda scare, pitch black inside (windows & front door painted black.) but whatever. Before I could check into Yelp and or post of picture of my cracked windshield Ramon came in and informed me my car was ready! WOW! I believe it was done in 15-20 minutes. Ramon was very personal and nice to talk to. Very impressed by the experience I told him that I would recommend all my friends and family to his shop! “While driving to work yesterday morning, a rock hit my windshield and caused a huge crack! I called around and this place had the best price. He initially quoted me $168, but told me that if I were able to bring it to him today or tomorrow, he would do it for $150. I told him I would get back to him. After calling several places, I immediately called him back and scheduled an appointment for the next day. His price could not be beat. This place is located on the 'sketchier' side of town, but don't be fooled by the exterior. It's not fancy and they don't have a nice, cool waiting area for you. It was hot today and we stood outside instead of sitting in the muggy waiting room. We took this opportunity to walk over to Adrian's for a burrito and soda. They had us in and out of there in under an hour. We paid a total of $158.22 for quick and efficient service. You can't beat that! 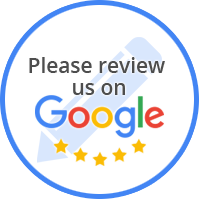 “Great service overall! Cheapest price. Very friendly. I looked everywhere in Fresno, he will beat any competitors price. Service was very fast done within an hour. If anything ever happens to me or anyone I know I will definitely recommend this business. “My car got broken into one night and it was a bit too late to begin calling around town for a fix. First thing in the morning, I called about four different places in Fresno with quotes ranging from $90 to $270. The owner answered the phone and let me know that the cost to repair and replace the window would be $90. For something that was just so unexpected during the holidays, I went with my gut and told him I would be over in no more than 30 minutes. As soon as we got to the shop, he greeted us, had us drive into the garage and asked us to sit down in the waiting room. He told us it would take no more than 30 minutes to repair the window, however he got side-tracked for about 30 minutes. He apologized to us and when he worked on the window finally, it really did only take at the most 30 minutes.